Inspired by the Southern California and Flagstaff landscape, riddled with vintage touches, landscapes of Palm Tree’s filled with succulents lit by the bleaching sun, Michelle and Wes’ wedding was beautifully exhibited. 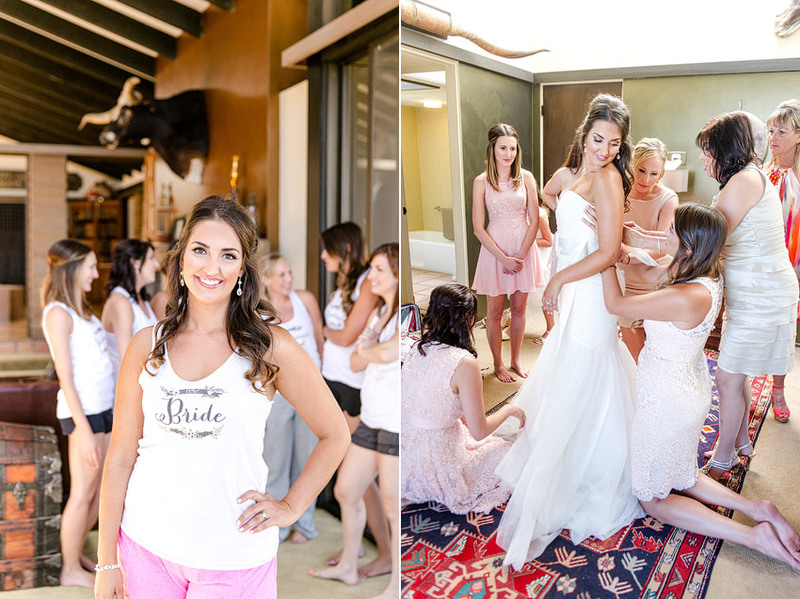 Held at The Condor’s Nest Ranch, vintage memorabilia, color blocked umbrellas and twinkling lights decorated the day. Down to the vine ornamented barn, the Coca-Cola planter, and an old gas station, this wedding location and decor perfectly fulfilled everything from vintage to a spunky touch of retro. The simplistic floral plating tied in fantastically with their wedding, highlighting the vintage table setting and floral accents. 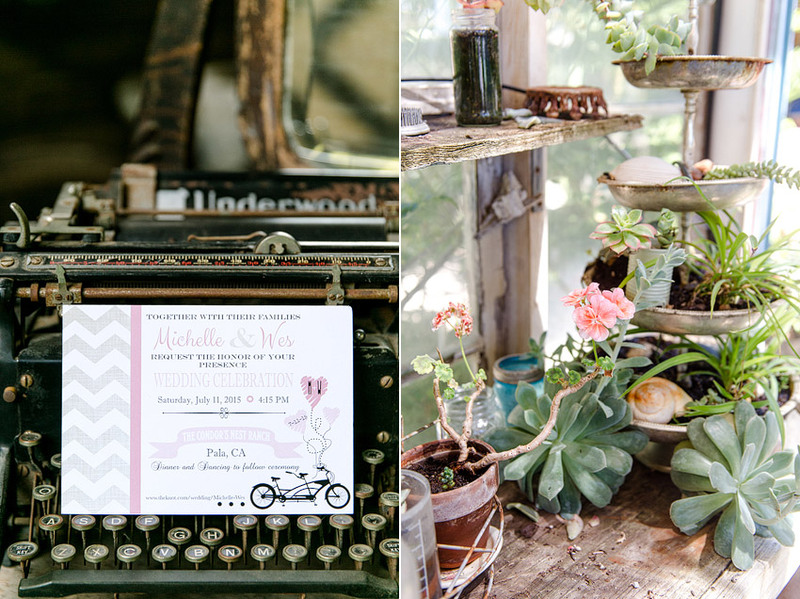 The lovely couples dynamic was perfectly showcased through their shared love of bicycling, with touches of bicycle decor displayed in style from the invitations to the simply adorable signs. What other than a tandem bicycle to symbolize: honey, we’re in this together.